WP Post Modules (KingComposer addon) is a WordPress plugin for creating post snippets or modules in different display styles. The plugin is best suited for creating online magazine content, newspaper blocks, creative portfolio showcase and regular blog feeds. 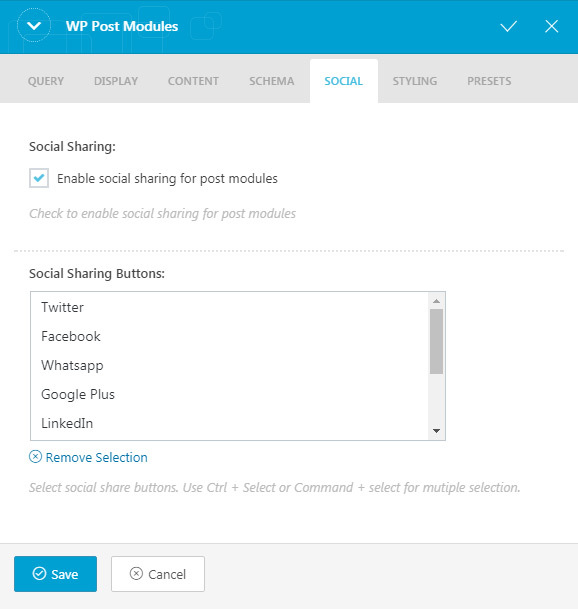 WP Post Modules is shipped as KingComposer addon. 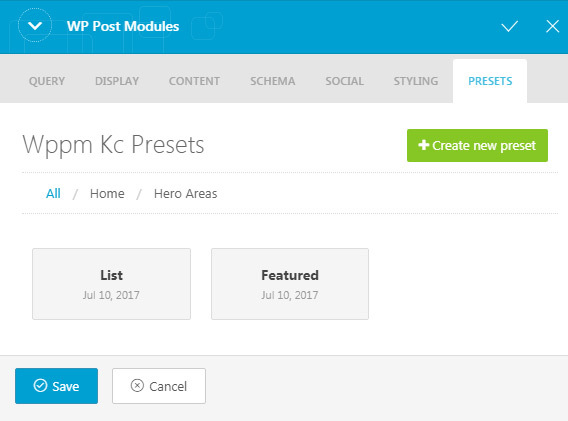 The plugin lets you create WordPress post modules with drag and drop interface and easy to configure parameters. With multiple module types and display options, you have almost endless possibilities for creating creative Home pages for your online Magazine, Newspaper and blog. Then create a new post, enable KingComposer mode and insert a pre built template from the sections/templates library of KingComposer. You can create a full width post by enabling the full width option at the end of post options panel. KingComposer is blazing fast and professionally created page builder plugin with more than 95,000+ downloads and 20,000+ active installations. The plugin is reliable and user friendly for creating pages and posts in WordPress. The plugin’s top notch features and developer friendly code is the main reason for which I’ve converted existing WP Post Modules Plugin into a KingComposer addon. KingComposer can be downloaded free of cost from WordPress plugin repository. – Show posts from categories, tags, custom post types, taxonomies, post IDs, author IDs, etc. – Images shown on live demo are not included in download package. They are only for demonstration purpose. 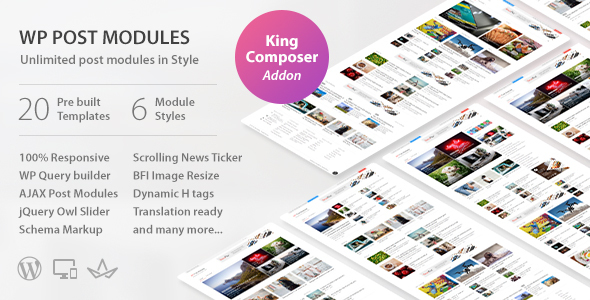 – This plugin requires KingComposer Plugin, and is shipped as KC addon. All support is provided via comments section and email. For any questions related to the plugin or general query, feel free to email me from my profile page message box here or comment on the item comments section. I would be glad to respond. Thank you for browsing the plugin. - Posts must have "Video" post format with video embed or URL inside content.